Do you live your life with courage? Do you see your life as an adventure? Courage is about living your life with the gusto and fearless resolve no matter how scared you are, no matter how stupid you feel, no matter how strange it might look to others. The figure above is a feisty, voyaging Viking who holds the secret to Courage. He resides on Megan’s 20th sacred robe. He can guide you to face your fears and to have an attitude of adventure as you courageously live from your heart. 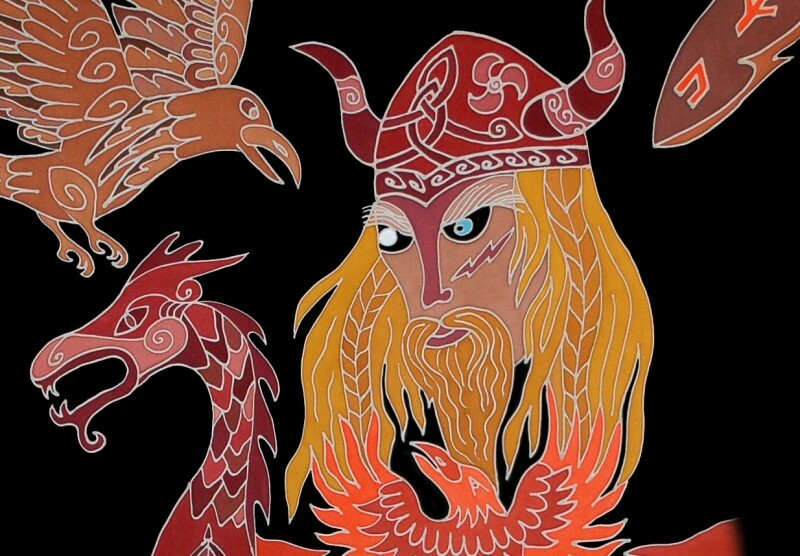 This Viking also represents Odin, the All Father god in the Norse Mythology. He has one eye set on the horizon, and one eye is blind, set to his inner compass. Like Odin, we can BE the courage to live our life aligned with our higher purpose and then boldly acted with courage into the world. One way to start tapping into your courage is to get your buckets list ready. Commit to actually going for it and doing what is on your list. Be courageous! Maybe you have a passion you want to pursue but haven’t made time for it. Have the courage to set aside the time. Then do it! Courage is the expression of ALL THAT IS. Courage is the action of Truth. Courage is the action of Love. Courage is expressing the adventure of Love. Courage is being OK in the face of difficulties. Step up with courage to BE LOVE in this world. Be courageous to express your life adventure. Live the adventure of your life with courage. Be courageous and face your Shadow!